Looking to add some adventure to your life? Then you’ll want to check out the soft canvas and leather outdoor and travel goods made right here in Alberta by Jessica Nepton-Chayer of Copper Cherry! 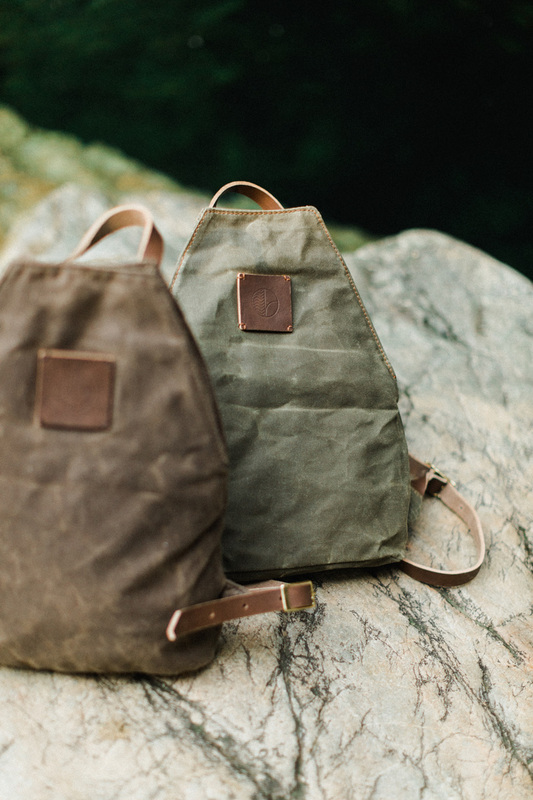 Not only are these bags beautiful, but they’re also incredibly durable and functional. Catch Jessica at the Bison both weekends, follow her on Instagram (@coppercherry), and read on to discover what inspires her to create! Copper Cherry: Well, I have to make as I’m constantly building and designing in my head. I’ve always been drawn to making and thought it important. CC: New to my line this year are leather small goods, such as wallets and travel accessories that I released earlier this year. But what I’ve been working on since last year’s holiday markets is a new line of travel luggage duffles and briefcases. I’m stoked. CC: I feel I approach these bags and goods in a different way, as I try and create with purpose and cohesion. I test them out and make my goods evolve over time. When I create something new, I like to think back on what I already have and design the goods as part of a whole. I think this makes a difference in my products; I design a whole family not just an individual. CC: It’s great to have a place to show and share, as I’m sure some will relate. I make all this by myself and spend all this time in my mind. Also getting support and feedback is really all one needs. CC: Gosh so many! For starters, Molly from Stranger Studio: truly one of the most hardworking, strange & amazing persons in Edmonton. Carson Wronko, Wronko Woods: not at the market but he is just greatness in furniture. Josh from Libertine Fragrance is so nice and knowledgeable. CC: Love watching holiday movies next to the roaring fireplace, until I fall asleep. CC: That you make stuff in Edmonton. I’m super deep. CC: Influences. I’d have to start with my friends. All so talented, knowledgeable, and kind. They encourage me to stay weird and to not be afraid. 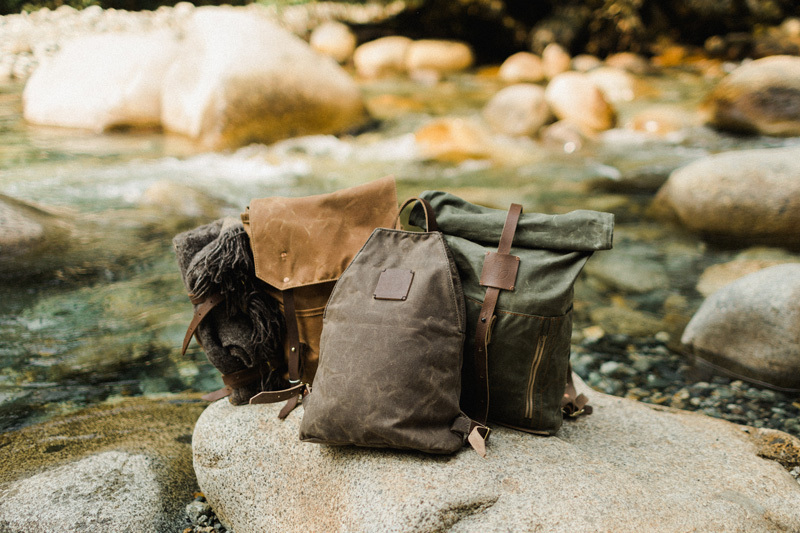 I look up to the company Filson, I admire their timeless designs and long-lasting goods. And finally, I like working to Netflix and movies so they get an honourable mention. This print from HamburgerHands; Mushroom Elk in latin. It’s da best. All Copper Cherry products are handcrafted in Edmonton out of leather and canvas with beautiful copper rivets. Head to www.coppercherry.com to check out her full line and shop around!